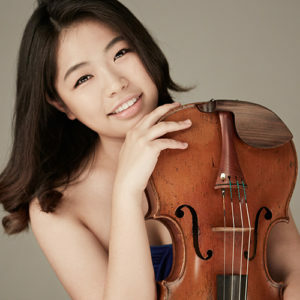 Violist SoHui Yun was born in South Korea and is currently pursuing her master’s degree at the New England Conservatory, where she studies with Dimitri Murrath. Prior to moving to the United States, she attended the Korea National Institute for the Gifted in Arts and earned her bachelor’s degree from the Korea National University of Arts (KNUA), where she graduated with highest honors and studied with SoonWha Oh and Hanna Lee. She has participated in the Perlman Music Program, Great Mountains International Music Festival and School (GMMFS), Olympic Music Festival, Bowdoin International Music Festival, and Tongyoung International Music Festival. She has also been a recipient of several awards, including a special prize at the Lionel Tertis International Viola Competition and the first prize at the GMMFS Concerto Competition. Ms. Yun has performed in the Rising Star Series, with the orchestra at GMMFS as the winner of their Concerto Competition, and in solo recitals at the KNUA Series.